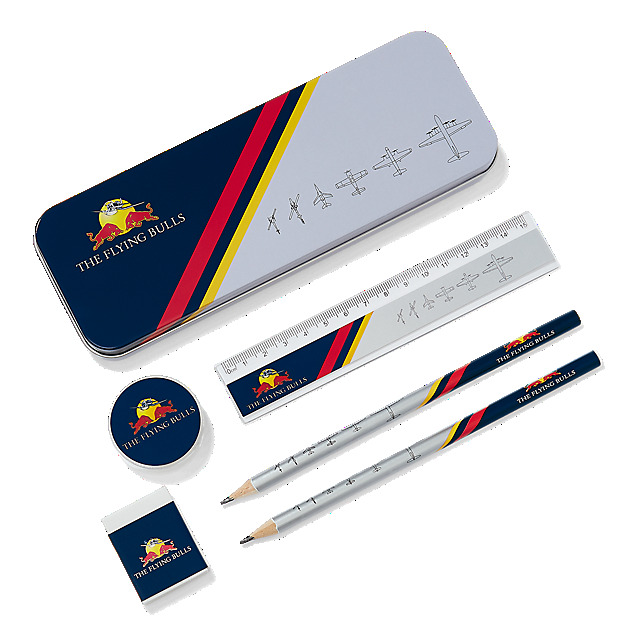 Brighten up your school day with this cheerful stationery set inspired by the much loved Flying Bulls. 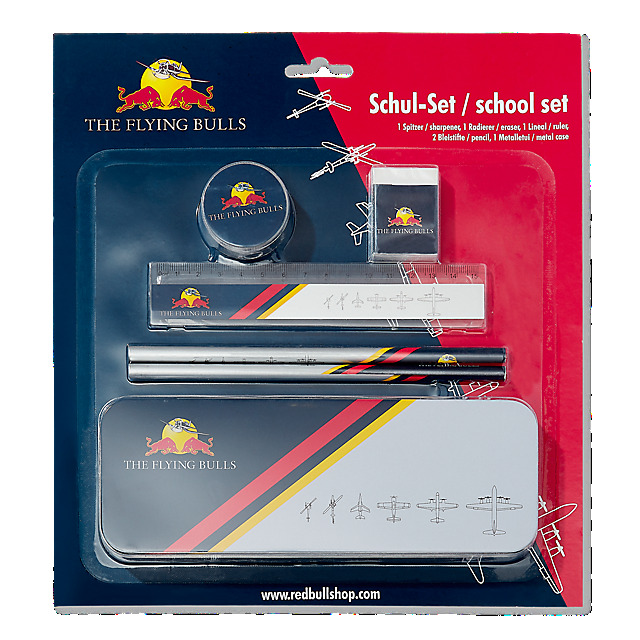 The set contains every day stationery essentials featuring a Flying Bulls logo and illustrations of the fleet, all on a navy and white colourway with stripes in red and yellow. Items are designed in a navy and white colourway with stripes in red and yellow, fleet illustrations and Flying Bulls branding.